What better way to show someone you care than by giving a homemade gift? 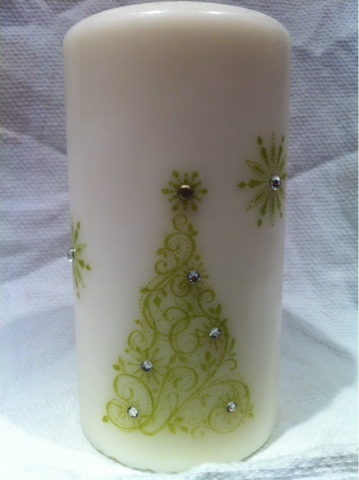 Check out this beautiful candle I made using the Snow Swirled set. I will post a tutorial on how to do the candle technique very soon. In the meantime, why not book an advanced workshop and learn how you too can make these beautiful candles to give out this holiday season?